A cyber attack that breached 143 million citizens’ credit information isn’t just a worst-case scenario. “That’s no hypothetical; it’s what happened at Equifax,” said Courtney Targos, pitching her startup Threat Informant Managed Services Oct. 13 at Launch Alaska Demo Day in the Beartooth Theatre Pub. 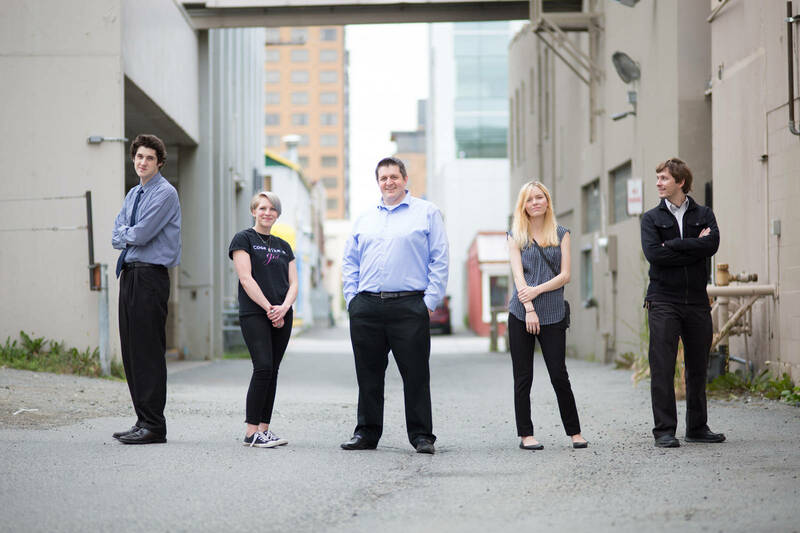 The startup was one of four new business graduates of Launch Alaska’s 2017 cohort. 60Hertz, Helix and Attently also completed this year’s business accelerator designed to propel them toward success. Each pitched concepts to investors at the event. Threat Informant is an IT security firm developing an innovative managed security product, The Hyve, that will make information security accessible to all size companies. The giant Target retail chain has also had its cyber security breached, resulting in 180 million people’s private information exposed to unknown hackers. “What were the costs? Well, there were fines and penalties, a loss of trust from customers and worse — their brand was tainted,” Targos told a crowd of about 500 people at the presentation. Profits fell 46 percent for Target the same month as the breach. Yet, the other cost – preventing security breaches and cyber threats – is often out of reach for many business owners, she said. Security expenses can be a minimum of $250,000 a year, plus monthly fees. “Our team got together and thought we could fix this. The Hyve is the key. The Hyve uses automation to scale managed services and reduce costs,” she said. 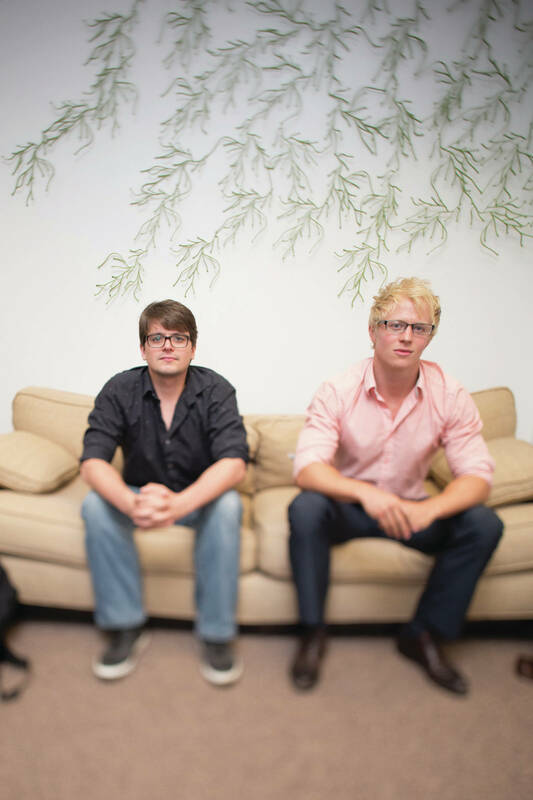 Co-founders Targos and Matthew Peters work with a tech-savvy team of ethical hackers, software analysts and programmers. Using a business model that is subscription-based, they can offer $10,000 per month fees to customers with 100 or more employees. That’s less than half the cost of other security companies. They can also work with on-demand professions such as incident response or network support. 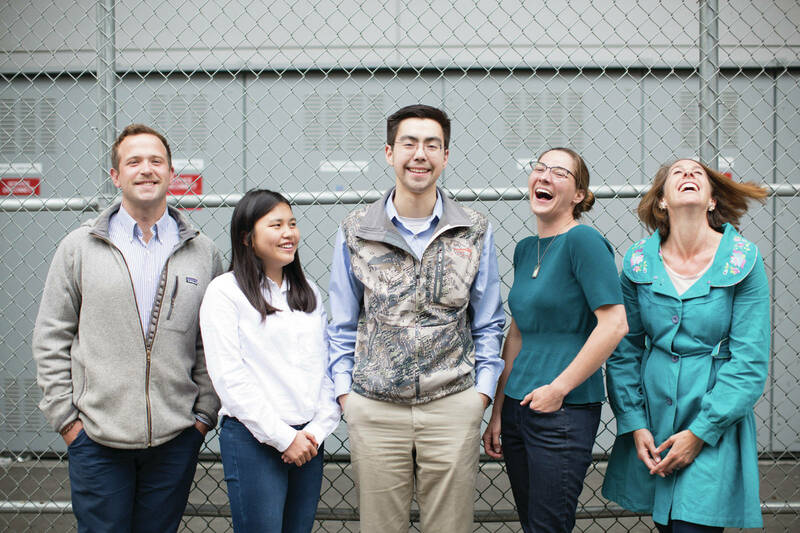 60Hertz is addressing energy poverty in Alaska, the Arctic, and the developing world with finance opportunities and operations for small-scale microgrids. Piper Foster Wilder, co-founder with Whitney Gantt, noted that Alaska has 12 percent of the globe’s microgrids at work. This company’s goal is to offer turnkey microgrid operations for remote sites, from villages to remote camps. The company is led by the vision of reducing diesel dependence in rural Arctic communities for both humanitarian and economic reasons. “We partner with communities and industrial sites to provide financing aimed at energy cost reduction strategies such as integration of renewables and energy efficiency projects,” she said. Many microgrids in Alaska are “islanded” from roads, transmission lines and centralized distribution points. As a result, electricity costs four times the national average for many of the 200 villages, Wilder said. This creates a chain of energy poverty that can be solved through increasing renewables and decreasing diesel use. Another aspect is the job training available to employ people in their own microgrid maintenance and operation. The company makes socially oriented investment in remote electricity infrastructure, and offers its proprietary operations and maintenance software, Pinga, to support power plant operators globally. Cyber security is certainly in the forefront in the tech innovations today. That Alaskans are solving key issues is an economic strength to celebrate, said Launch Alaska Managing Director Isaac Vanderburg. Helix has innovated a technology to protect your cash when you make credit card purchases. Co-founded by Tom Humphrey and Andrea Irving, this startup has created a unique mobile payment app and electronic card duo. It enables users to generate one-time use Visa Prepaid virtual account numbers, also known as VANs, instantly with the app. These VANs can be funded from their bitcoin wallet or bank account and be spent by swiping at any point of sale. Yet another Alaskan technology wonder was created at Attently, founded by Eric Solie and Erik Talvi. This software company analyzes video of human audiences to determine both their demographic makeup and their emotional reaction to live content. Solie used the 500 people in the audience at the Beartooth Theatre Pub to demonstrate how it works. Based on emotional reactions and factual audience demographics, the software detected more men in the audience than women and a “mostly” receptive response. The numbers were demonstrated in graphs Solie’s software projected onto the large screen, showing ebbing valleys of lost interest and spiked moments of piqued curiosity. With data uploaded, the information can be analyzed and used to improve training and other presentations. The audience analysis is presented via an online dashboard to the user to provide objective, granular feedback for any presentation and “correlates the two and tells you what you need to do,” Solie said. The four-month mentorship came with $75,000 toward gearing up their businesses, and potential for up to $1 million from other investors. It gave each of these startups access to 50 mentors both nationally and locally, Vanderburg said. “There were numerous meetings during the course of the program to solve different issues. It’s an intensive curriculum based on the Lean Startup Methodology developed by Steve Blank at Stanford University,” he said. The Lean Startup provides an approach to creating and managing a desired product so that it gets into the consumers’ hands faster. The keynote speaker at the event was internationally-known Pipeline Angels founder Natalia Oberti Noguera. Inc. Magazine selected Noguera as one of “The Most Impressive Women Entrepreneurs of 2016”; Latina.com included her in their list of “25 Latinas Who Shine in Tech,” and she was named to the Forbes list “Top 20 Women for Entrepreneurs to Follow on Twitter” and Fortune’s “55 most influential women on Twitter. On this first trip to Alaska, Norguera offered to hear startup pitches and mentor the next great ideas. She has set out to change the odds for women and minorities. Launch Alaska has provided that for entrepreneurs, she noted. She hopes to contribute to success here through mentoring and offering resources from Pipeline Angles. The 2017 graduate-startups that have completed their work and are ready to open doors for business. They also will continue to gain investors in the coming year to grow in planned, scaled increments. Now the startups of 2018 is under selection to go through Launch Alaska’s accelerator, though announcements won’t be made until January. Choosing from a pool of 25 applicants, teams will be at work on three rounds of elimination and selection over the next two months, Vanderburg said. “Out of the 25 applicants, we’re going for up to 10; quality over quantity. If only three or four of those have a good chance of providing returns for investors than that is the number we will select,” he said. The non-profit accelerator brings together entrepreneurs, members of the military, utility operators, researchers and thought leaders to work toward a shared vision of Alaska as a thriving innovation and entrepreneurial hub, Vanderburg said. From drones to climate change mitigation, and from electrical grids to cyber security, Alaska holds value and experience that a growing entrepreneurial ecosystem is beginning to capture, he said. “This is an incredibly exciting time and momentum,” he said.